Swipe on photos above for more. Press to zoom. Click on preview photos below to see more photos. Click on photo above to zoom. Only one left in stock. Item added to cart. Go to checkout. 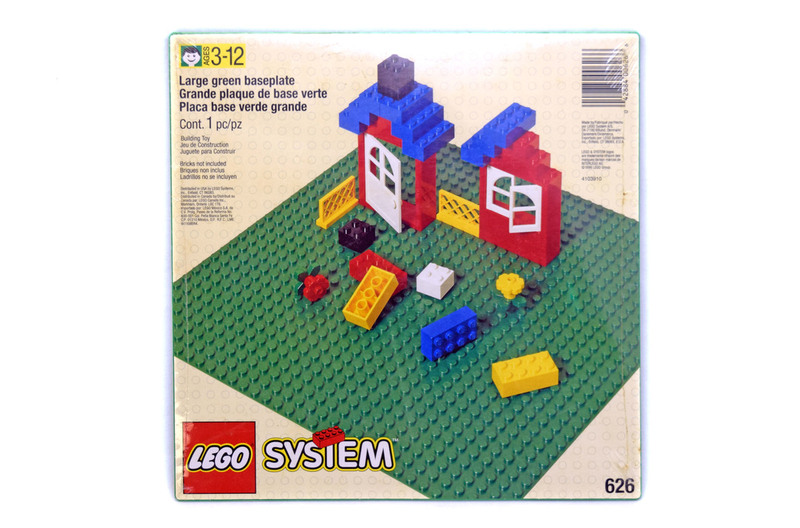 Building Plate, Green (LEGO #626-1) is a baseplate for you to place your LEGO creations on. Set comes with 1 pieces. Take a look at our photos to get a closer look at the set and its features. This LEGO set is guaranteed to be 100% complete. Want to sell a set like this? The Plastic Brick is interested in buying LEGO® collections of all themes. It doesn’t matter if your sets are new or used. Buy building blocks online with complete confidence. Gold Brick Standard™ is a guideline targeting the highest standards of quality and customer service for building block resale. © 2019 ThePlasticBrick.com. All rights reserved. LEGO®, BIONICLE, KNIGHTS’ KINGDOM and EXO-FORCE logos, the Minifigure, and the Brick and Knob configurations are trademarks of the LEGO Group of companies. © 2019 Lucasfilm Ltd. ™. All rights reserved.